1. 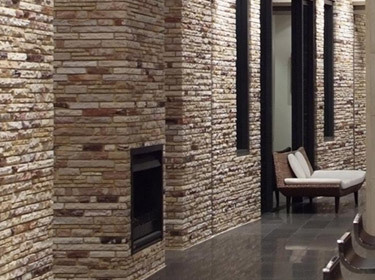 Preserves the Shade and Natural Beauty of the Stone: Every time limestone is installed to a place, it adds a natural touch and beauty to that space. A natural limestone coated with a sealer looses it natural grace and tends to look a bit artificial. In some cases, sealers are known to discolor the limestone. Low-quality limestone sealers turn the limestone surface somewhat yellowish, which deteriorates its looks. 2. Ensures the Breathability Feature of Limestone: Unsealed natural limestone can easily breathe, i.e., unsealing allows vapors to easily enter and leave the pores on and inside the limestone surface. Water usually doesn’t go inside a sealed limestone, but if somehow manages to penetrate deep inside the pores, its further escape from the pores becomes very difficult. A limestone installation with moisture being trapped inside its pores is more susceptible to damage. It becomes soft and may crack under high temperature conditions. An unsealed limestone installation on the other hand allows the moisture to escape as easily as its entrance; thus reduces the chance of damage. 3. 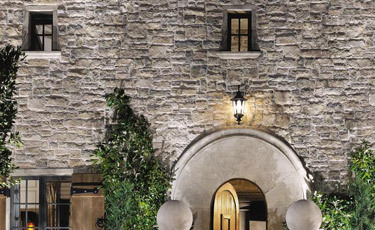 Reduces Maintenance Cost: Since limestone on walls doesn’t come in contact with acidic substances and other contaminants, it doesn’t require sealing. This prevents the additional cost of periodic sealing. Sealers need to be replaced after a certain period of time and apart for the chemical sealer’s cost; its application and removal require professional help, which could eventually increase maintenance cost. Unsealed limestone on walls generally gets stained, which can be easily removed with a natural cleaning agent. Moreover, a few limestone sealers are softer than the limestone and get scratched very easily. In such conditions, the whole coating requires to be replaced or re-buffed, which further increases your maintenance cost. 4. Enhances the Limestone Durability: Limestone is naturally a durable stone. When sealing is done after regular intervals, limestone undergoes chemical treatment during the processes of re-sealing and removal of old coating. This continuous cycle of chemical cleaning as well as sealer removal and replacement makes the limestone dull, soft and prone to damage. 5. 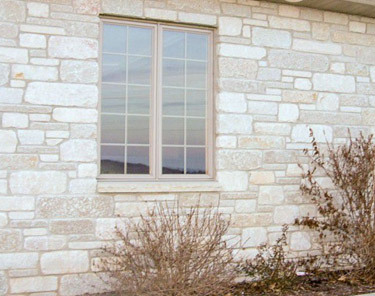 Keeps the Stone Environment-Friendly: Chemicals used to seal natural limestone produces hazardous fumes during the sealing process that finally escape to the atmosphere. For example, stone impregnators produce toxic vapors that eventually contribute to environmental pollution. Sealing is a good practice to keep one’s limestone or other stone installations in good condition for a longer duration, but avoiding limestone sealing is always suggested, wherever possible, to preserve the stone’s integrity, reduce its maintenance cost and also to keep our environment clean and healthy. Regatta Universal Exports is a well-known manufacturer and exporter of limestone from India. For a variety of applications, you can buy limestone products in desired shade, size, style and finish at competitive prices from the 17-year-old Regatta Universal Exports.